Dr. Rosemond and Dr. Strachan have been proudly serving South Orange, West Orange, Maplewood, Union County and Essex County for over 30 years. After earning a BS in biology from the City College of New York, Dr. Rosemond received his DDS from Howard University College of Dentistry in Washington, DC. While at Howard, he served on the Admissions Committee, the Professional Conduct and Ethics Committee and the Judiciary Appellate Board. After dental school, he completed a two-year general practice residency at the College of Physicians and Surgeons of Columbia University at Harlem Hospital Center, where he also served as chief resident. He has completed postdoctoral continuums at Boston University, New York University and the prestigious Misch Institute. At NYU College of Dentistry, he also served on the Minority Recruitment Task Force and the Admissions Committee. As a result of Dr. Rosemond’s commitment to continuing education, he has earned the distinction of Master in the Academy of General Dentistry (MAGD). As a MAGD, Dr. Rosemond has completed a structured and demanding set of requirements involving all the dental disciplines, including periodontics, orthodontics and implants. 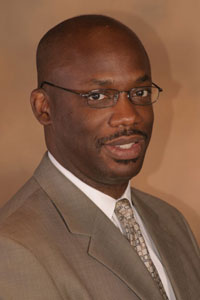 Dr. Rosemond has served in many positions, including President, of the New Jersey Academy of General Dentistry. He also served as one of the delegates representing New Jersey at the 2006-2010 National Conventions. Other professional memberships include the National Dental Association and the International Congress of Oral Implantologists. Dr. Strachan earned her BA at Hunter College in New York and her DDS from Howard University College of Dentistry in Washington, DC. After dental school, Dr. Strachan completed a general practice residency at College of Physicians and Surgeons of Columbia University at Harlem Hospital Center. Dr. Strachan practiced general dentistry for ten years before deciding to specialize in pediatric dentistry. 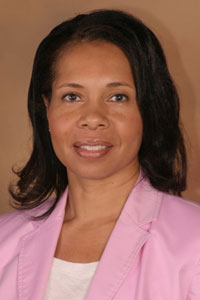 She received her postdoctoral specialty training at Columbia University School of Oral Medicine in 1995. Later, she served as an assistant professor in the Department of Pediatric Dentistry. Prior to working at South Orange Dental Center, she served as an attending dentist at New York City’s Health and Hospital Corporation at Lincoln Medical and Mental Health Center, Harlem Hospital Center and Kings County Medical Center. She has also served as a board member of the City of Orange Early Childhood Center and the Maternal Child Consortium of New Jersey. Dr. Strachan also visits schools, as well as other community-based organizations to educate children and adults in early childhood dental disease prevention. Dr. Strachan’s professional affiliations include the American Academy of Pediatric Dentistry, the New Jersey Academy of Pediatric Dentistry, the National Dental Association and the American Board of Pediatric Dentistry. Dr. Strachan has hospital privileges at Livingston Ambulatory Care Center in Livingston, New Jersey.